Love a Bloody Mary? So do we! 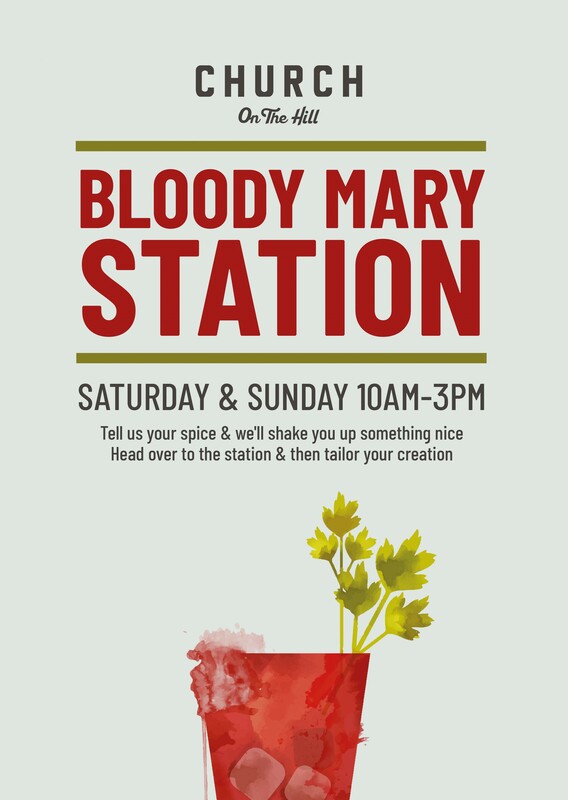 And we know that your Bloody Mary preference is as individual as you, that’s why we give you the chance to pimp it yourself at our Bloody Mary station. So whether you like it spicy or mild, with classic celery or a gherkin twist, you can have it just the way you like it!